Michael Kors is the comeback king of 2016. The Kors brand is hip again -- in the fashion world and on Wall Street. It's quite the turnaround from only a few months ago when Michael Kors (KORS) sales were sagging and its stock was tanking. Experts said the brand was "overexposed," a synonym for ugly in the fashion world. But Kors is saying: Hello 2016. Sales are up and the stock is the best performer of the year. The secret to the Michael Kors success is simple: do more than pretty purses. Kors, who still serves as chief creative officer, has had tremendous growth by branching out into watches and sunglasses. Now everyone is buzzing about the brand's shoes. At the company's recent New York Fashion Week show, actress Blake Lively and fashion icon Anna Wintour were front and center. The celebrity buzz looks like it's translating into sales. The company is making more money than Wall Street expected. And that's at a time when many clothing retailers are struggling because people aren't shopping at physical stores as much as they used to. While other retailers shutter stores, Kors recently opened 114 new ones. Even the stock is fashionable again. It's currently running neck and neck for the title of performer of the year in the S&P 500. Kors is up a whopping 43% at a time when most stocks are in the dumps. Being bigger -- Kors is #1 in women's handbag sales in the U.S. with a 25% market share -- and offering more accessories has helped Kors win the "handbag wars." "The footwear assortment has expanded significantly and will continue to get more floorspace," says retail expert Corinna Freedman of BB&T Capital Markets. The brand is also revitalizing its handbag business. It was early on the fringe trend last year and in 2016, Kors is debuting new saddle bags, camera bags and backpacks. Fashion today isn't just about what people wear, it's about building a lifestyle brand. Michael Kors understands that better than most. He just redesigned the company's Big Apple headquarters and showroom to appeal to a younger demographic. Competitors like Kate Spade (KATE) and Coach (COH) are trying to follow that playbook. Their stocks are also doing well this year with Kate up over 11% and Coach surging 18%. Now the Kors company is focused on growing internationally and online. Europe and China are proving to be hot markets for the brand. Kors has already taken "affordable luxury" to the masses once with its massive expansion in stores and outlets malls. Now it aims to do it again online. It's not a given. Most Wall Street experts have a "hold" on the stock, according to FactSet. They bet the company will do well, but they don't think sales and profits will get a whole lot better to justify investing more. 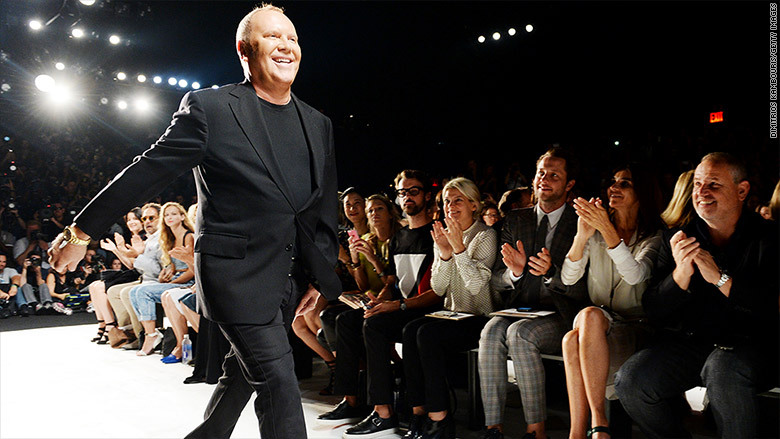 It's up to Kors and CEO John Idol to prove the doubters wrong again.